Every business organization needs to keep its customers, investors and employees happy. In order to keep them happy, they need to ensure all their processes including accounting, HR, customer service etc. are running smoothly. Here we will broadly divide internal business processes as short term and long term value creation processes. Long term processes include research, production and innovation which directly influence short term processes such as sales, after-sales service etc. Cloud computing can benefit all these processes, let us understand how. In this day and age, innovation is the only key to stay competitive and keep investors interested in your business. The research and development team needs to constantly come up with innovative ideas for which they need to analyze future trends and customer preferences and deliver innovative products or services that satisfy these preferences. Some of the tools for research are analysis of sales from current products or services, new product introduced in the market, feasibility of innovation, so on and so forth. 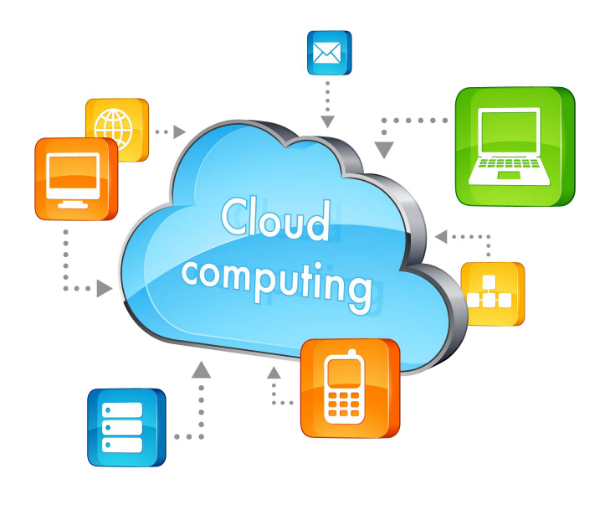 Cloud computing is an excellent tool for ensuring smooth internal processes. Cloud applications provide valuable tools to users for enhancing communication, collaboration and productivity. So whenever a new product or service is to be provided, management can collaborate with all the other departments, capture existing data on the cloud and review reports. This ensures that decisions are made faster and the operations team can take the next step for implementing innovative strategies of the company. The only way to keep customers happy is to ensure efficient, consistent, and timely delivery of products and services to customers. Operational crisis can prove to be dangerous for the reputation as well as the sustenance of business. If we take traditional production parameters like production or operational cost, quality, productivity and time to produce / operate into consideration, we may realize a lot can go wrong in this stage. Cloud applications for data and operations management can allow users to neatly organize everything in the cloud. It also allows easy access of data and functions in the near future. This reduces the time taken to perform mundane tasks and improves the efficiency of operational teams. 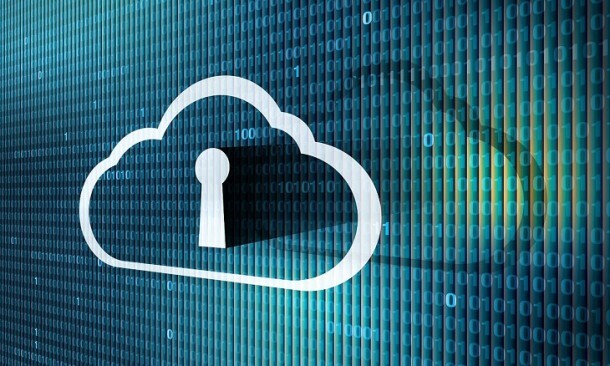 Cloud data solutions especially help companies during audits, e-discovery requests and make them more compliant with regulations. For effective customer service management, measures that ensure reliable, effective, and speedy service to customers are every essential. Typical indicators for measuring success of the customer service process are response time to complaints, quality, and cost of handling customers. If your company identifies any of the following problems like longer response time, inaccurate information given to customer or poor customer service, you must try cloud applications for customer service. Cloud integration can help in integrating the software with your data allowing you to give prompt and accurate response at all times. 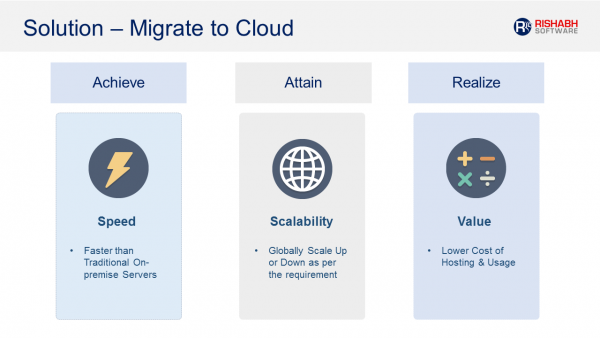 Cloud computing offers a plethora of other benefits that can help you improve internal processes so that you can achieve growth in business as well as satisfy your employees, customers and investors. Smooth internal process is essential for the growth of business and to ensure that everyone is happy. Find out how Rishabh Software can help you improve your company’s internal processes by getting you on the cloud. Call us 1-877-RISHABH (1-877-747-4224) or fill in the contact form to find out more about our cloud applications and integration services. Can Cloud Based Service Provide Good Customer Service Solution?